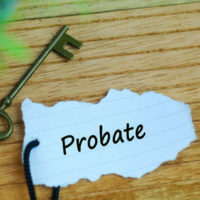 The probate process takes place in a court of law with limited jurisdiction to hear matters surrounding a person’s death and the settling of his or her affairs. In New York State, the probate process is overseen in what is called the Surrogate Court. The Surrogate Court oversees the distribution of the deceased’s assets according to a will or to a distribution based on intestacy laws if there is no will. In the instance of a will, certain tasks performed by the Surrogate Court are necessary to ensure the distributions in the will are made. The first step is to validate the will and authenticate that the will is the last will and testament of the deceased person. After Surrogate (the judge overseeing the probate process) validates the will, the named executor is tasked with carrying out the wishes of the deceased. The following describes the process in the Surrogate Court in more detail. Where there is a will in question, the first step in the probate process is to authenticate the will. Like several other states, there are a few requirements that indicate the validity of a will. This includes the requirement that the will has to be signed in the presence of witnesses. The Surrogate will determine that the testator had testamentary capacity when the will was written. This means that the testator was of sound mind and knew the nature of his or assets at the time the will was written. Other checks for authentication will include a check for testamentary intent and the naming of an executor. When the executor of a will is appointed, the executor is tasked with identifying all assets and taking possession of them in preparation for distribution. This process includes getting real estate and other title property transferred into the name of the executor. Where is there is not enough cash to fulfill the required distribution(s) or gifts made at the direction of the testator, the executor may sell certain properties to meet the requirements of the will. In addition to selling the assets, the executor will settle any debts the testator owed and remain payable to creditors. This settlment process includes debts that are not forgiven even at death. Not all assets are required to go through the probate process. Some assets pass by operation of law or contract. For example, a home held in joint tenancy with right of survivorship will not pass in the probate process. By law, when one joint tenant passes, the entire home passes to the surviving owner. Payable-on-Death accounts (“POD”s) or Transfer-on-Death accounts (“TOD”s) will pass to directly to the designated beneficiary by a contractual agreement. Similarly, a life insurance plan will pass directly to the beneficiary designed to receive the life insurance proceeds. It is wise to involve an attorney in the probate process. No matter the value of an estate it is important to seek the guidance of an experienced estate planning attorney who will determine and advise on any legal complexities in your loved one’s estate. To learn more about the process and how to best prepare for Surrogate Court in New York, contact an experienced probate attorney at Meyer & Spencer, P.C. or call us at (914)741-2288.